Hula Hooping Mom: Murray's Cheese - New Items!! Murray's Cheese - New Items!! Our family, especially our daughter are huge cheese eaters! You won't believe how fast our family can go through a block of cheese!! I love to pick up different kinds of cheese at the store and try different ones. Murray's Cheese, New York's iconic cheese shop established in 1940, has introduced a line of Murray's branded, charcuterie, cheese and grocery items. Launching in Murray's New York City locations and online at murrayscheese.com, the items are also available at 270+ locations in the Kroger family of grocery stores. We were given a variety of samples and one that really stood out was Greensward. Now you know the saying, not to judge a book by it's cover, right? You have to keep this in mind when shopping cheeses! Sometimes the best ones will be the least picked up! I can honestly say that I am so glad we had an opportunity to sample this one as it's not something I would have picked up in the store. I was very much pleasantly surprised when I cut it open - def not what I expected!! The lush, intense flavors are perfect for adventurous palates! 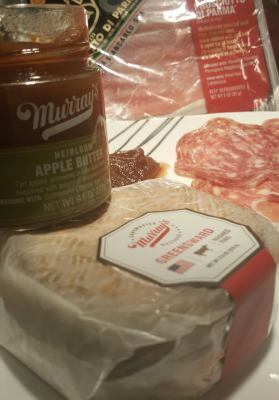 It was so creamy and smooth; spreadable cheese that paired up perfectly with Murray's Apple Butter!! Yum! • Murray’s Prosciutto di Parma: Meticulously selected pork legs, trimmed then hand-rubbed with sea salt and aged for at least 20 months in fresh Parma air. A meat and cheese lover’s classic. • Murray’s Genoa Salami: Heritage pork raised in open pastures, seasoned with pepper and fresh garlic. After being slow-aged to perfection, it’s ready to be sliced into your sandwich, antipasto or hearty salad. Genoa’s lovely texture makes it unintimidating for cured meat beginners. • Murray’s Calabrese Salami: When you’re ready for an extra kick, this heritage pork is infused with Sangiovese for sweetness with a kick of cayenne and paprika. Although the heat isn’t enough to overwhelm, it pairs well with rich cheeses, especially creamier Italian favorites like La Tur. • Murray’s Blueberry Preserves: Fresh blueberries are slowly added to a simmering base of earthy plums and lemons. The result is a sweet but not overly tart breakfast treat. It’s made to pair perfectly with cheeses, but it works great on peanut butter sandwiches or crisp scones. • Murray’s Apple Butter: Crisp apples simmered in cider, brandy, cinnamon and allspice makes a smooth spread that brings you right back to the moment mom’s apple pie came out of the oven. The warm, autumnal flavor is a natural match with roast meat and nutty, caramel-like cheeses. 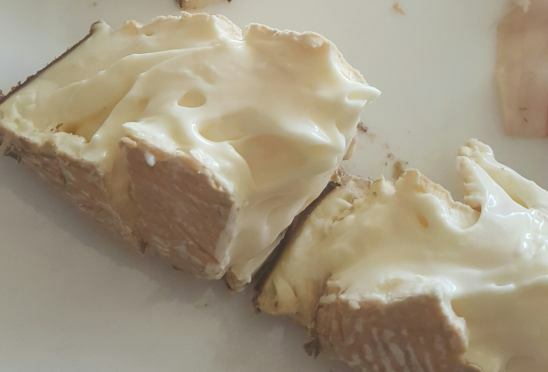 • St. Mark’s: St. Mark’s is a creamy, woodsy cow’s milk cheese inspired by the French classic, Saint Marcellin. This bloomy baby comes out of our caves in a little terra cotta crock and begs to be thrown in the oven to have its complex flavors enjoyed as a personal fondue pot. • Hudson Flower: Young wheels of rich sheep's milk cheese get an exciting new groove as they’re rubbed with herbs including rosemary, elderberry and lemon thyme. The bright herbs impart robust piney and floral aromas to make for an unforgettable complement to the creamy paste. • Greensward: Greensward’s cow’s milk perfection doesn’t hold back. The spreadable cider-washed rind comes out of Murray’s aging caves in a bark-wrapped wheel that imparts a deep woodsiness onto the velvety smooth paste. Founded in 1940 in the heart of Greenwich Village, Murray's Cheese is one of New York's most beloved cheese shops. 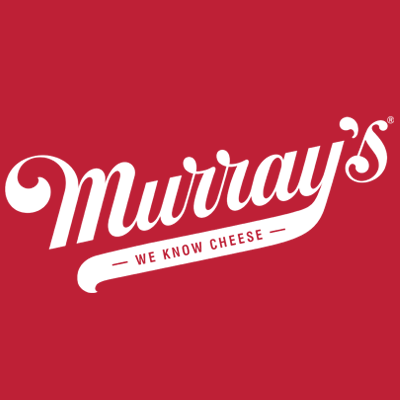 The mission of Murray's Cheese is to bring the best cheese selection to the United States and to educate customers about cheese. Murray's flagship stores on Bleecker Street and in Grand Central Station's food market offer hundreds of domestic and imported artisan cheeses, along with a large selection of specialty goods. Through an exclusive partnership with Murray's, the Kroger family of stores features more than 270 Murray's Cheese counters across the U.S.